My first book, Shekhinah: the Presence, has been reissued by the Apocryphile Press. 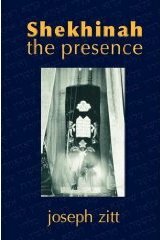 First published in 1992, this poetic meditation on the feminine image of the Presence of God in Jewish mysticism evolved from the dance/theatre piece of the same name. More information, including a web-readable version of the entire text of the book, is on the book page on this site. Click on the image in the right column to order Shekhinah: the Presence now from most online booksellers.